commemorating our nation's achievements in the past 50 years, this year's air participation segment will feature 50 aircraft — the largest number to participate in National Day Parade (NDP) till date. 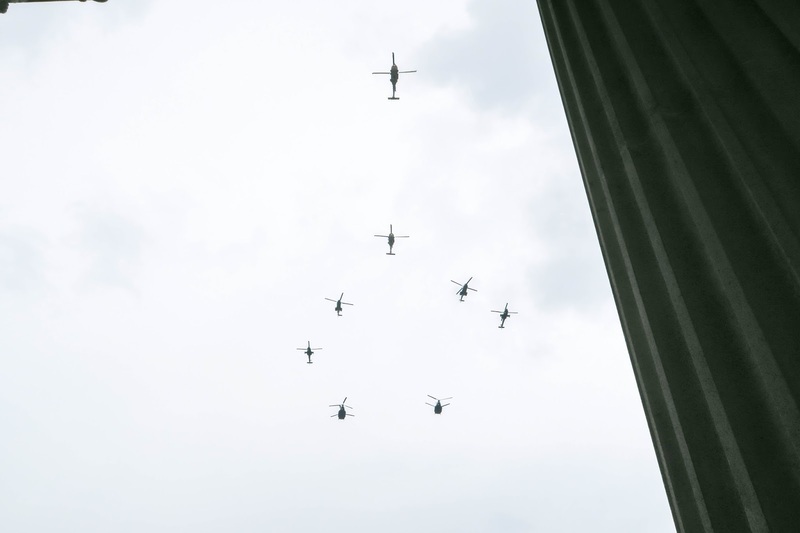 Iifelt really honoured to be invited to a private preview of the air participation at the National Gallery Singapore, so here are some of the key features you should look out for during this National Day! 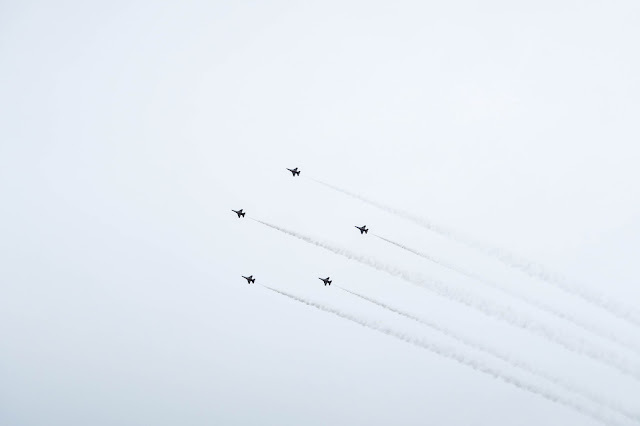 the traditional flypast of the state flag across the Padang will take place duiing the singing of the National anthem. It will be staged by a CH-47 Chinook helicopter, escorted by two AH-64D Apache helicopters. 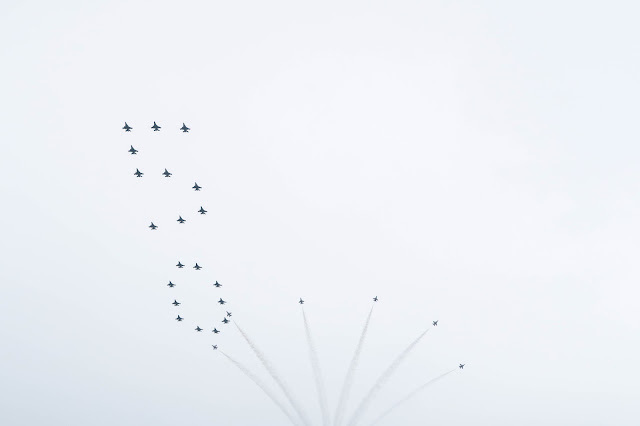 during the solemn and dignified moment, the flypast marshall will play a key role in coordinating ground and aerial activities to ensure the smooth execution of the state flag flypast. 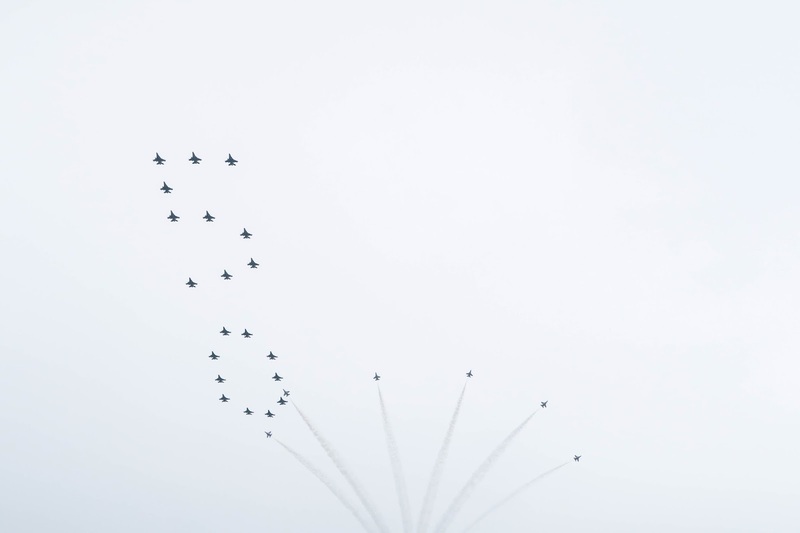 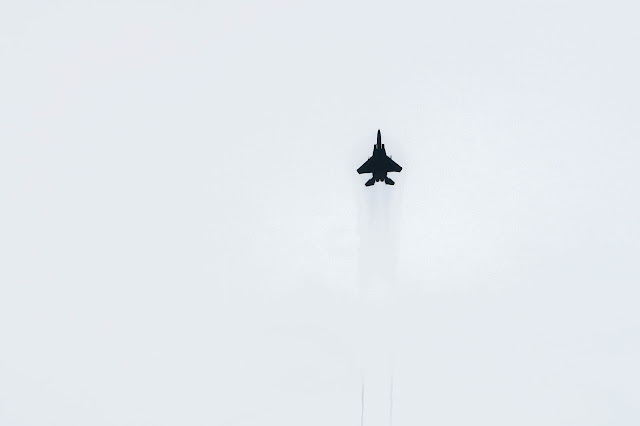 comprising 20 F-16s, Singaporeans will get to witness the unprecedented "50" formation, and an aerial bomb burst to round off a magnificent salute to nation, in a fan-out manoeuvre execution. Black Knights putting up a high-octane performance that will definitely excite the spectators at the Padang. 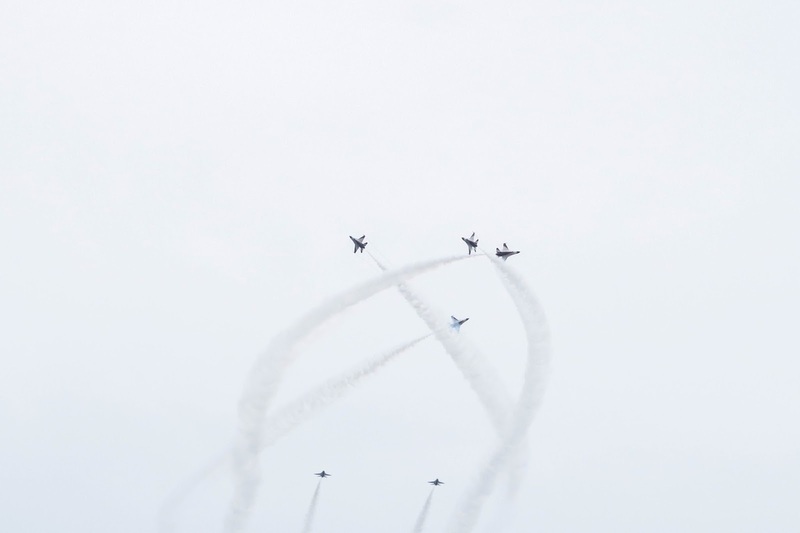 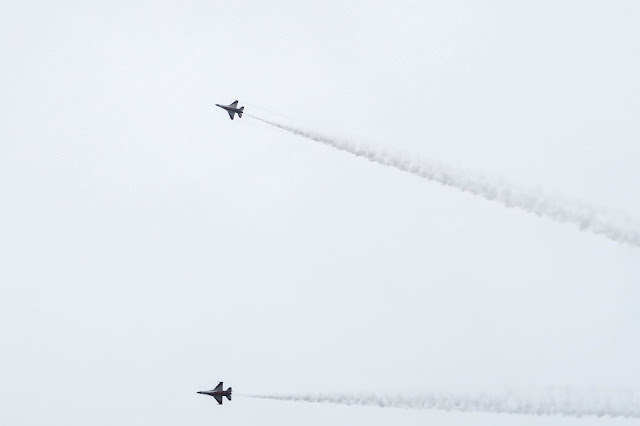 A formation of four Black Knights will perform the "Criss Cross" manoeuvre with smoke trails, followed by two Black Knights executing a near-vertical climb. 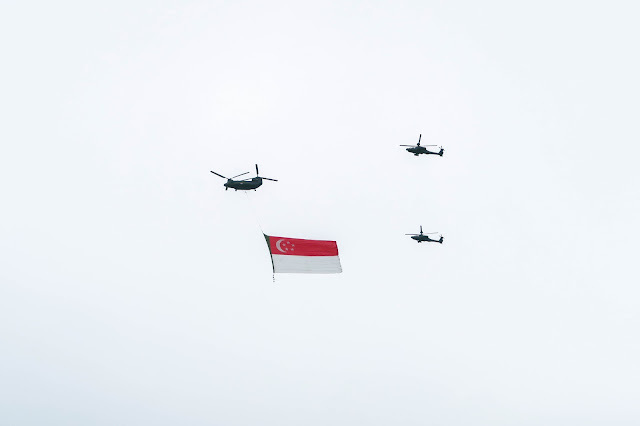 there's a lot more that went on that afternoon, so keep your head up (literally) for this year's NDP aerial display!